What’s the easiest way to open one of Los Angeles’ largest restaurants overnight? Put it inside of America’s largest IKEA store. 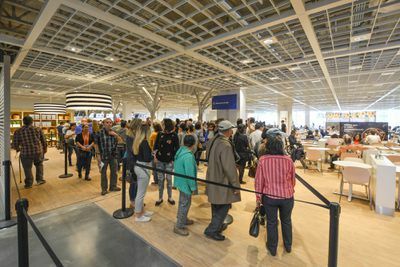 The new blocks-long IKEA shopping mecca in Burbank, CA opened just this week, boasting nearly 500,000 square feet of retail space and some 1,700 parking spaces. Inside are 50 individual room pods for home decorators to peruse, and for those building an appetite with all that walking around, there’s a massive open-plan 600 seat restaurant right on the second floor. 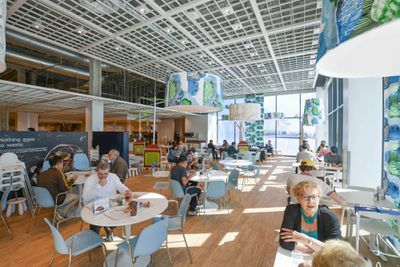 The big, open dining area has only been open a few days, but already sports daytime lines that can stretch 30 minutes or more (a number that’s sure to grow on weekends). Luckily, this being the Swedes, the layout of the place allows for some serious efficiency. 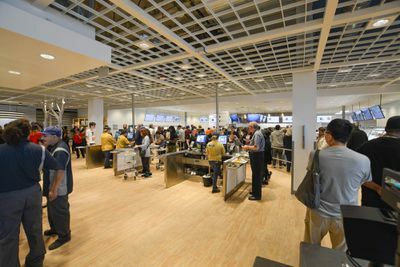 There are multiple lines going at once, with customers queueing up to get trays first, then moving through batched plates of entrees and desserts before getting to the hot foods, which are scooped and served by an army of IKEA staff from an open kitchen. From there, guests wrap around to grab their own drink glasses, silverware, and napkins, before hitting one of several side-by-side checkout lanes. 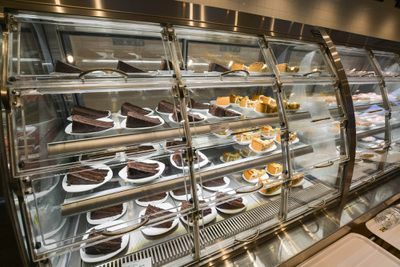 The process takes time, but its also rather seamless in its efficiency — a far cry from the clustered confusion you can occasionally find at LA’s other massive cafeteria option, the multi-story Downtown Clifton’s Republic. 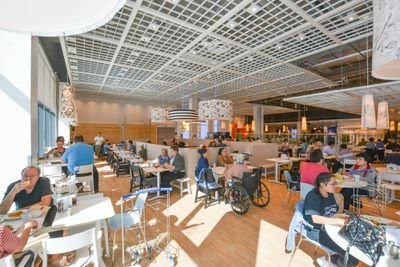 Once diners weave their way through the ordering process, it’s open season on seating across a variety of sections. There are endless rows of round two- and four-tops, plus larger square tables for groups running along the tall bank of windows looking out onto the freeway. You’ll also find some semi-enclosed sit-down seating, a few lounge areas with black faux leather sofas, and hidden-away stalls for guests to return their finished trays. After filling up on meatballs and smoked fish, it’s back outside for even more shopping — and even more lines. 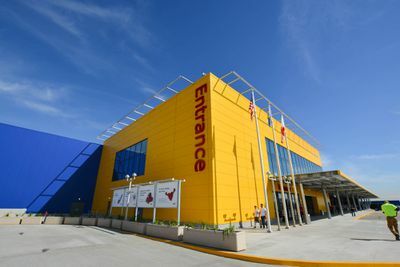 IKEA Burbank is now open daily at their massive brand new store at 600 IKEA Way in Burbank, CA. 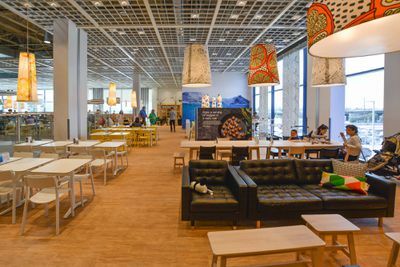 “Inside the 600-Seat Madness of America's Largest IKEA.” Eater LA – All. 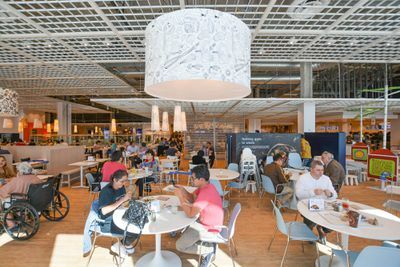 http://la.eater.com/2017/2/10/14573400/ikea-burbank-new-restaurant-photos-inside.